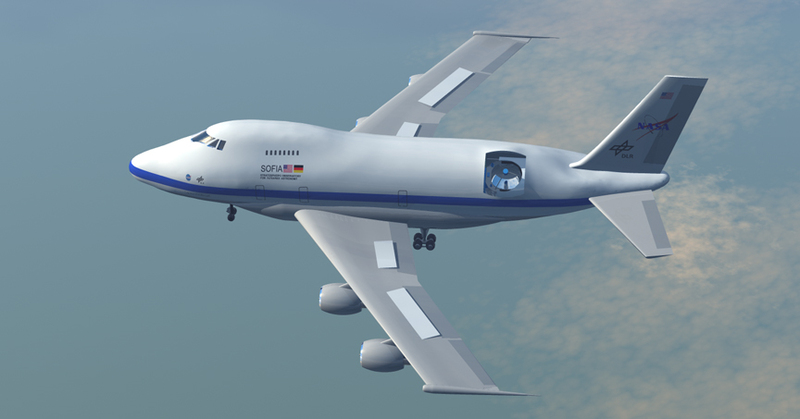 Next week I will be in Palmdale, California getting ready to fly aboard SOFIA, the Stratospheric Observatory for Infrared Astronomy. I am working with Carolyn Bushman, who teaches math and other classes at Wendover Jr./Sr. High School in Wendover, Utah. We will fly down to Burbank next Monday morning, then drive up to Palmdale where we will be badged into NASA Dryden Flight Research Center (part of Edwards Air Force Base) and begin training for our flights on Tuesday and Thursday nights. 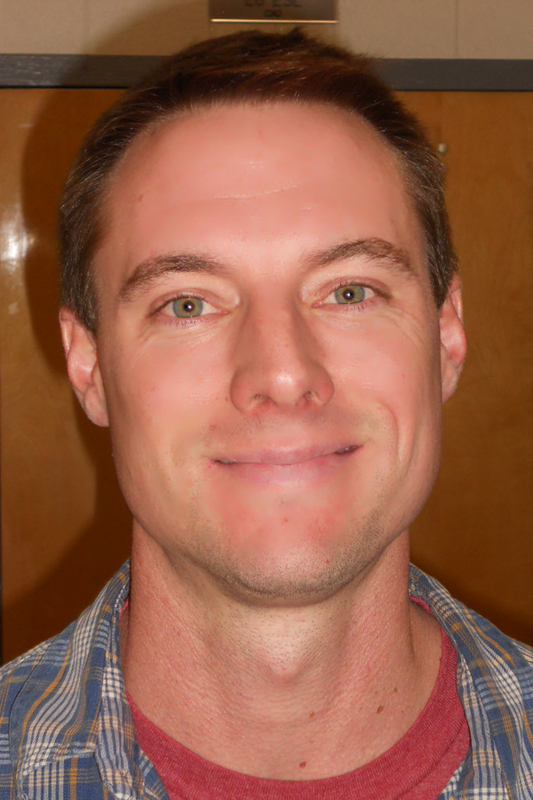 We will also fly with two educators from Reno, Nevada: Matt Oates (Dilworth STEM Academy, Sparks, NV) and Dan Ruby (Fleischmann Planetarium and Science Center, Reno, NV). Matt Oates, from Sparks, NV. Part of our requirement as Airborne Astronomy Ambassadors (AAAs) is to propose an outreach plan, a way of taking our experiences and sharing them with the larger education community. In addition to presenting and working in the SOFIA booth at conferences (which I talked about in my last post), my plan is to create a 30-minute video of our week at Dryden that discusses the engineering, history, and science of SOFIA. 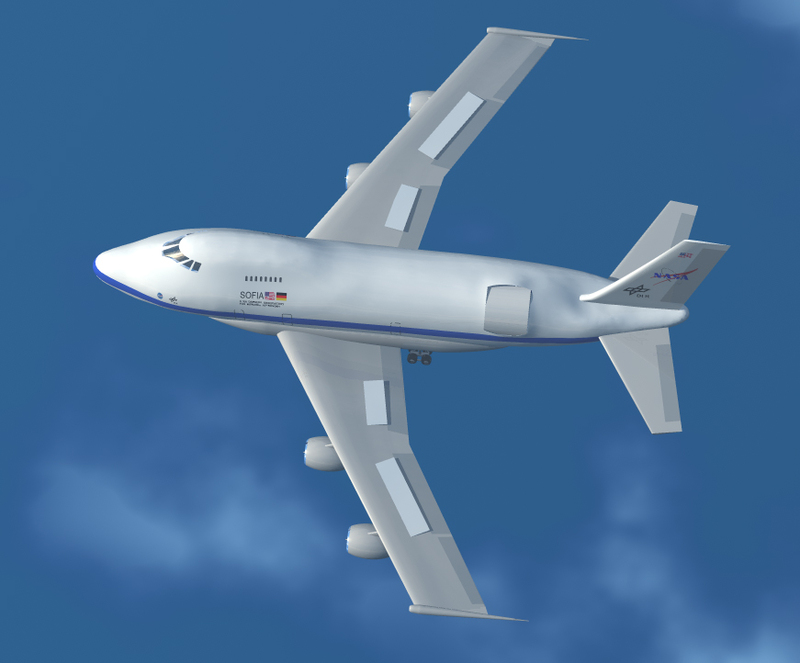 I am now getting ready for our flights by researching all of the instruments, the history of airborne astronomy and infrared astronomy, the science results obtained by SOFIA so far, etc. I’ve been working with Jem, one of my students at Walden School of Liberal Arts, to create a working script. I’ve shot video footage for the opening sequence of the video. Now, this week, I am going to record the narration and edit the final introduction so that I can show it to people next week. I am also planning out the shots I’ll need in order to tell the story of SOFIA completely. I realize that I can’t write a final script until I’ve shot all the video next week and transcribed it. I am making a documentary-type video, after all. But I can anticipate the types of information needed and the parts that can be done here. One of these parts is to create animations and graphics to go along with the video. 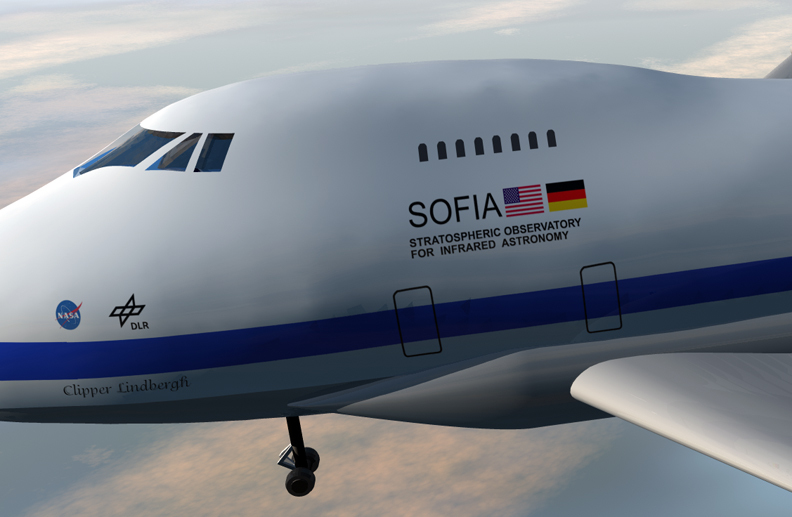 I know I will need some establishing shots of SOFIA flying in the air, the telescope door opening, etc. I won’t be able to go up in a chase jet to get these shots (which would be great fun if I could, but it probably won’t happen). 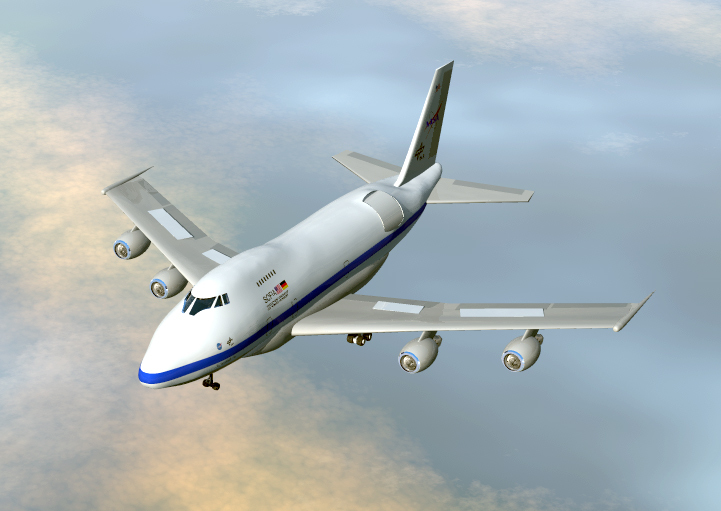 So the only alternative is to create 3D animations of the SOFIA aircraft. After returning from the NSTA conference in San Antonio, I had about 1½ months left before the end of the school year and much to get done. 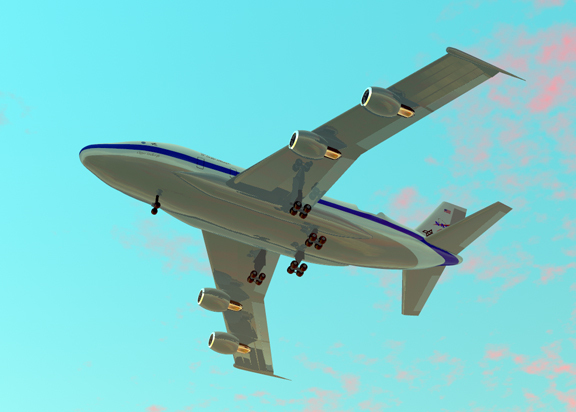 Students in my 3D Modeling and Creative Computing classes had already begun to create parts of the SOFIA aircraft. After my return, we began to assemble the parts and make modifications. Our first attempts didn’t work out very well – the scale or shape or smoothness was off, or other details were wrong, so the students had to go back to the drawing board several times. It was definitely an iterative process, much like what engineers do in real life. The main fuselage, for example, took about ten tries using the extrusion modeler in Daz3D Carrara, and never was quite right. We stumbled on a better solution by creating the fuselage using Sculptris, a free virtual clay modeling tool. We finally got the smoothness needed. It was a truly collaborative effort, with one student building the engines and struts, another the tail assembly, another the fuselage, another the wings, another the landing gears, another cutting the elevators, rudder, flaps, and ailerons out, and a final student to put all the pieces together. 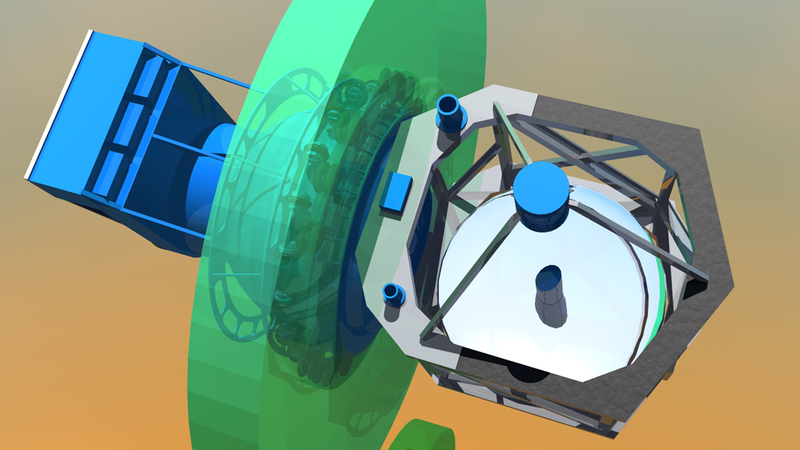 Students also built the telescope, pressure bulkhead, and counterweight/instrument flange as well as the computer monitors and AAA station inside the cabin. I had three high school students with experience in 3D modeling do the hardest parts, but the rest were built by my middle school Creative Computing class and after school 3D Animation club. School has now been out for me for two weeks and I’ve spent this time perfecting the model. 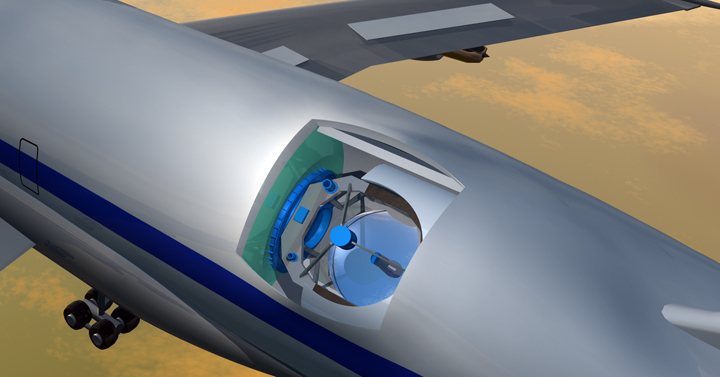 I’ve had to link the pieces so it can be animated correctly, cut the telescope cavity out of the fuselage and create a moving door, insert the telescope assembly, cut out the front windows, and add textures (which was the most difficult part). Now I am ready to animate the whole model. I’ve had to learn a lot about the basics of flight, such as the names of the airplane parts and how the control surfaces work. I’ll animate the aircraft taking off, flying with turns, the door opening and telescope moving, and separate animations of the light path and fuselage interior. Most of the animations will be done after the script is complete, so that they can be timed with the narration. Maybe what I am doing is way out there. I presented this and other student projects this last week at a Utah Business/IT Educators Conference in Salt Lake City and got mostly incredulous stares when I talked about this project with other teachers. The most common result was, “You’re doing WHAT? ?” Even those teachers who did understand what I am trying to do with this project don’t see how I come up with such high-level projects for my students in the first place. Well, it’s really not that hard. I spend quite a bit of time looking for opportunities, I have developed connections through my experiences with NASA, and I’m not afraid to ask and apply. Once you’ve done something outstanding, it becomes much easier to do more. So now my students make 3D animations of the origin and features of the moon for the NASA Lunar Science Institute, they create astrobiology podcasts for websites, they film and edit videos for MIT, and they explore Mars using authentic 3D data. I didn’t get these projects for my students by luck. It took hard work and being willing to take the risk and time to develop curriculum based around project-based learning. Yes, doing this does take time. But as I tried to point out last week in my presentation, as long as my students are going to learn 3D animation anyway as part of their course requirements, why not have them do something real, something useful instead of the usual robots and space battle animations? 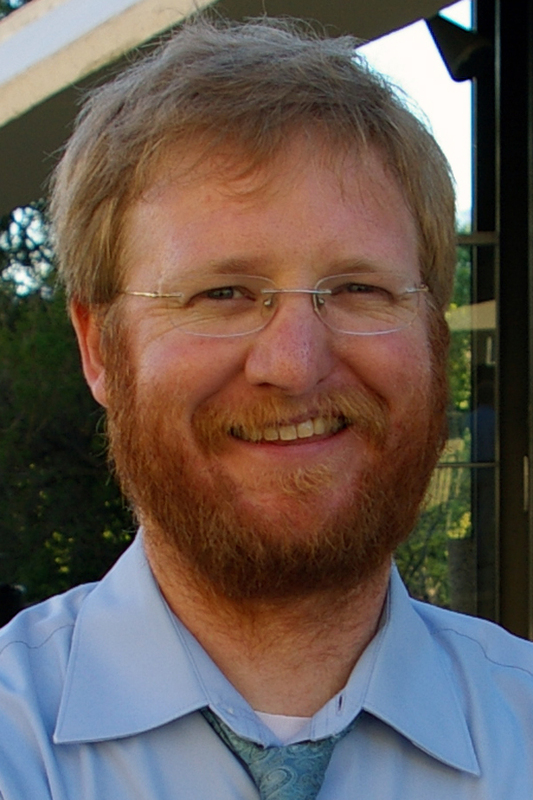 Why not work for real clients, and why not have those clients be NASA scientists? One thing for sure, my students have learned a great deal about aeronautical engineering, the EM spectrum and telescopes, and astronomy in general at the same time they’ve learned how to build 3D objects and animations. My classes are truly STEM classes, with an additional digital art component. Now the STEM has become STEAM. In addition to preparing for the video, I am in contact with the education and public outreach people for SOFIA. My flights are arranged, my hotel set up, and all the details ready to go. I still have to prepare my equipment and get everything packed. I have a two-day astrobiology workshop to attend tomorrow and Thursday at the Great Salt Lake (more on this next post), and then I will be getting ready for SOFIA. We had a videoconference with Ryan Lau, a graduate student at Cornell University, who works with Terry Herter, the Principal Investigator on the FORCAST instrument, which will be flying on SOFIA this month. He went over how FORCAST works (more on this later as well) and some of the science it’s already done, such as images of the supermassive black hole at the center of our galaxy and the circumnuclear ring of material orbiting around it. I recorded the session in case I need to use some of it for my video. We also had a telephone conference to discuss publicity and other items. Supposedly the local TV stations and newspapers have been contacted, but I’ve heard nothing from them. The team from Chinle, Arizona that flew last week actually had a newspaper reporter go along with them. The one thing I don’t yet know is precisely which astronomy team(s) we’ll be working with and what they will be studying. FORCAST is a mid-infrared camera, so we’ll be capturing photos of objects. Both Ryan and Terry will be with us as we fly. I hope to find out this week so that I can research the astronomy topic and be ready to ask questions next week. I also need to work out what equipment I can use when. I know I am not allowed to photograph or video anything except the SOFIA airplane itself (there are other experiments sharing the hangar) and I have to be careful how I point my cameras on the flight line. I know we will wear oxygen tanks on board (no masks drop from the ceiling on this plane); the pressurized part of the cabin is kept at about the pressure of Pike’s Peak. I have to figure out how to hold cameras, mikes, etc. without getting in anyone’s way. I have received a grant from the CenturyLink Foundation that will allow me to buy a GoPro camera and a digital audio recorder (more on this at my other blogsite: http://elementsunearthed.com) . I’ll take my HD camera and a Flip camera, as well as my still camera. All of this should provide the video/audio coverage and backups I’ll need to capture the whole experience. It’s almost here, after almost 18 months of waiting! I’m very excited! I plan on reporting as it happens on this blog as often as I can next week. This entry was posted in Uncategorized and tagged 3d animation, aeronautical engineering, airborne astronomy ambassador, carolyn bushman, david black, dryden flight research center, infrared astronomy, nasa education, SOFIA, stem education, stratospheric observatory for infrared astronomy. Bookmark the permalink.